Where exactly is "Intown" Atlanta anyway? 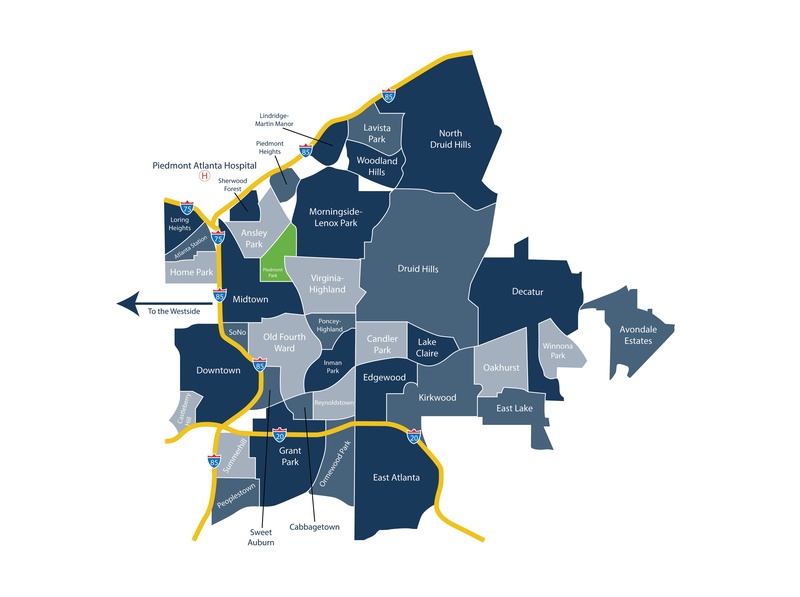 Loosely defined: it's "Inside the Perimeter" - meaning the geographic area inside of the circular, eight- to 12-lane, 60-mile stretch of I-285 that completely surrounds Atlanta and its nearby neighborhoods and towns. More specifically, "Intown Atlanta" refers to the cluster of 37 neighborhoods close to the city center. And here at The Keen Team, we recently launched a new interactive Intown Atlanta Neighborhood Map Search. Click the image below to get started.